The Security Customer Immersion Experience (CIE) is a rare chance to get hands-on with the latest security technology. This immersive simulation features a full sandbox tenant powered by the Microsoft Cloud. Learn how to achieve the highest levels of security in your existing environment with exclusive tips from our experts. The Security CIE is a limited event for 10 attendees at the Microsoft Center. Our experts have undergone a rigorous bootcamp and training to be your certified guides. Attendees of our past CIEs have told us that they found them invaluable help in making big decisions, and so we are thrilled to be able to facilitate this unique security-centered immersion. Joe is Kraft Kennedy’s Chief Technology Innovation Officer and heads technology services delivery and solution development. He also manages all project practice groups. Joe is an expert in messaging systems and unified communications, directory services, server virtualization, storage area networking, network infrastructure, high availability and disaster recovery, and data center design. Joe is a Microsoft Certified Solutions Master: Messaging, one of only 22 people worldwide to achieve this certification. 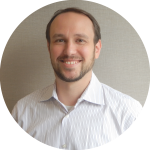 Chris is the Chief Technology Officer at Kraft Kennedy and Practice Group Leader for the Enterprise Client Systems Group. 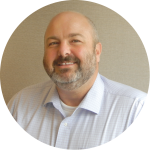 With over 20 years of consulting and technology management experience, Chris has helped leading firms with desktop design and management, server and storage consolidation and collocation, DR/BC, email messaging design and migration, document management, and hybrid/thin-client architecture.